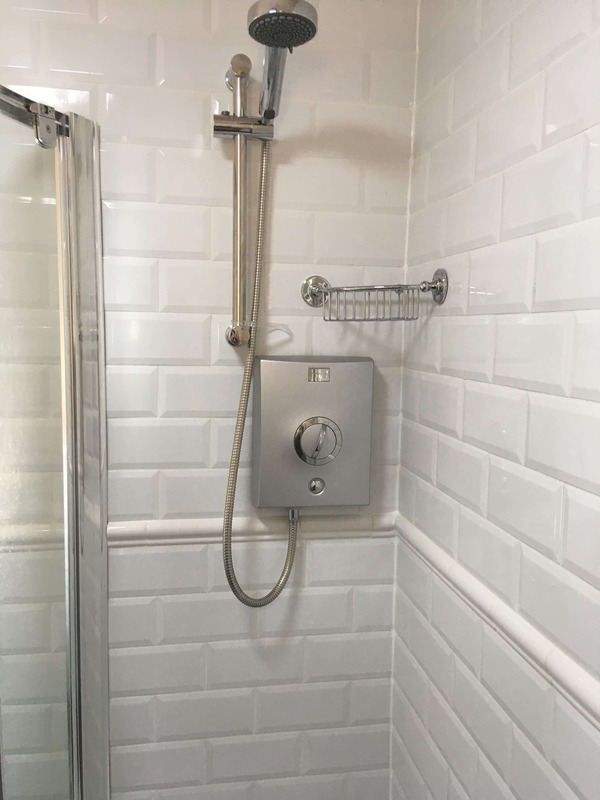 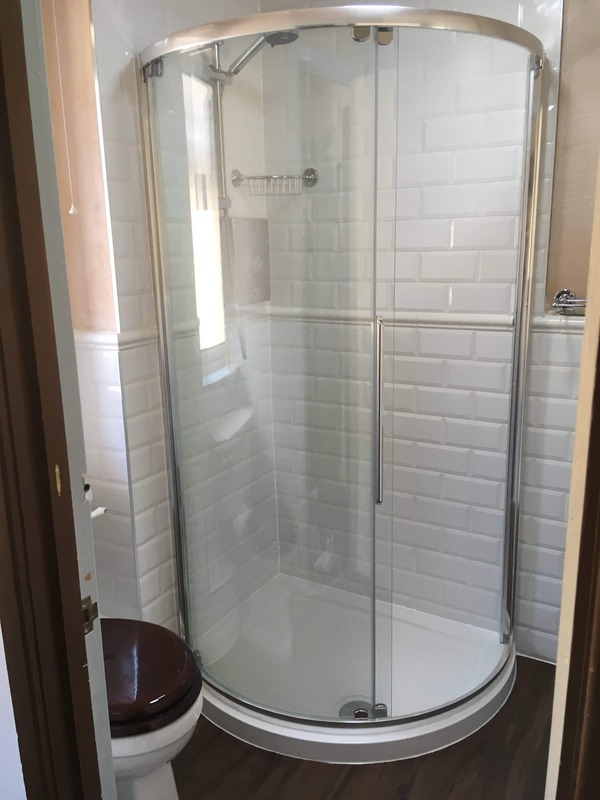 The client was looking for a traditional styled shower room and was restricted with the space available. 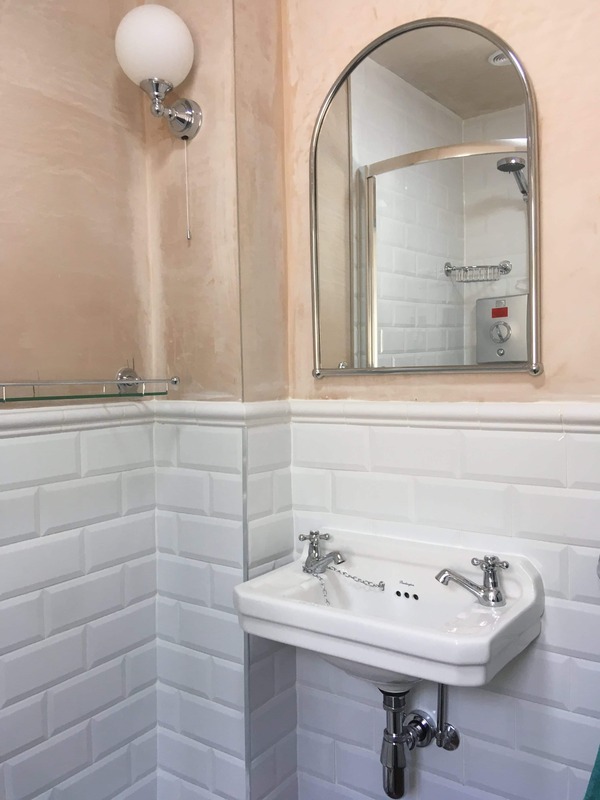 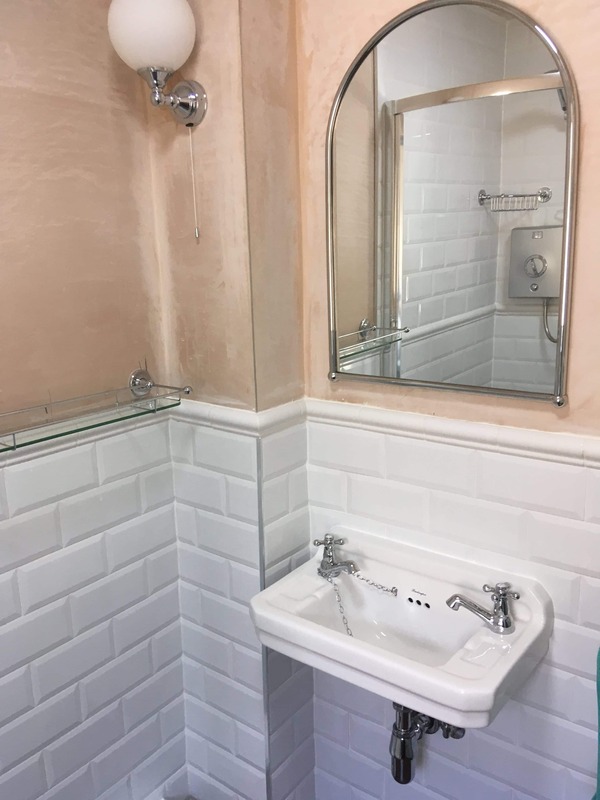 We recommended using Burlington Medium Level Toilet with a Mahogany Seat and a small Burlington Cloakroom Edwardian Basin to maximise the use of the space. 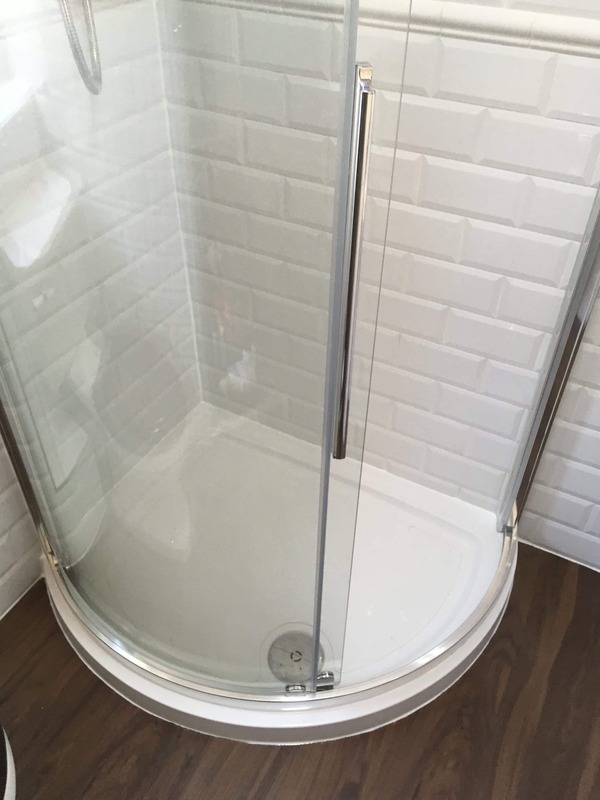 The shower enclosure used was a Kudos Offset Original 1000 x 800mm which is unique in it’s design compared to others on the market as it takes a minimal amount of wall space while maximising the showering space. 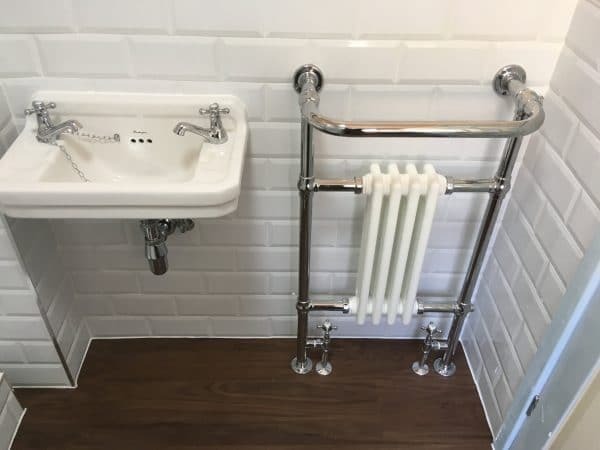 The bathroom was heated with a Burlington Trafalgar Towel Radiator. 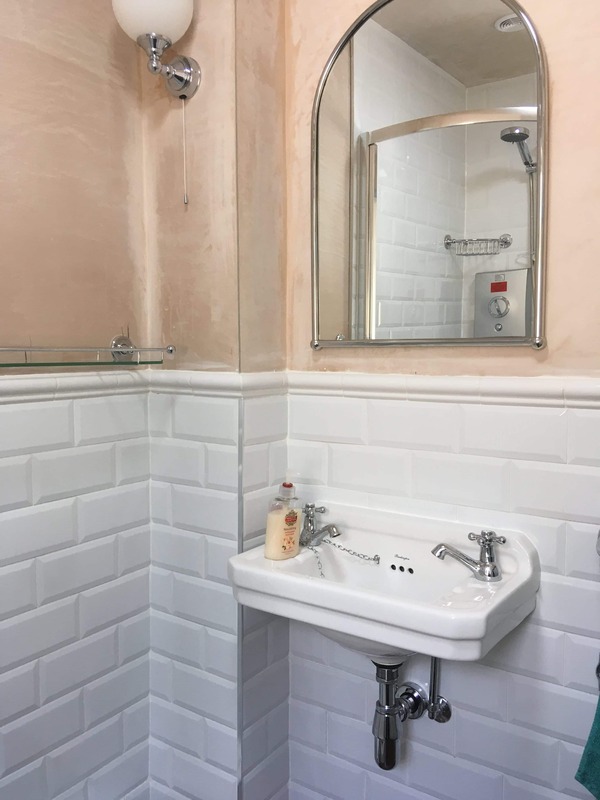 To continue the traditional theme metro tiles where used on the floor and a wood effect Karndean flooring was chosen for it’s suitability in a bathroom environment. 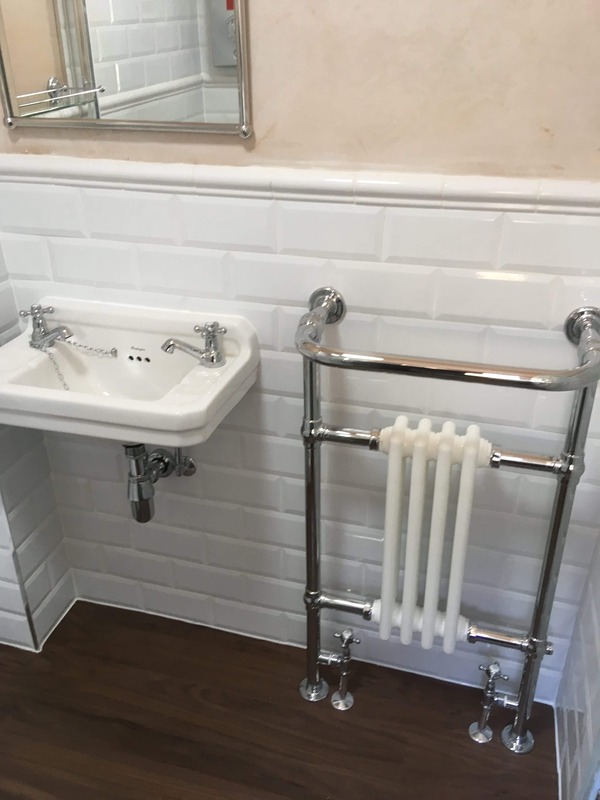 The bathroom was finished with a selection of Burlington Accessories. 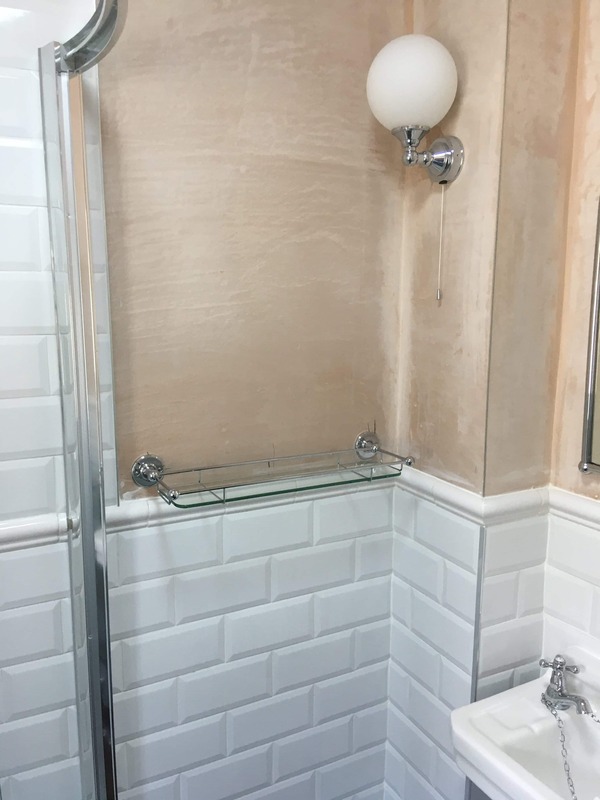 All the installation work was carried out by Doug Cleghorn Bathrooms team with the customer carrying out their own decorating.